Kimono Forest Lights Up Kyoto’s Arashiyama Station « Adafruit Industries – Makers, hackers, artists, designers and engineers! 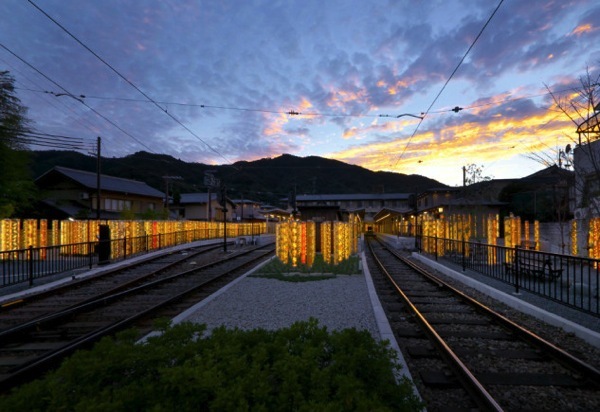 Visitor’s to Kyoto’s Arashiyama Station were greeted with a bright surprise when the station unveiled its latest facelift. The designer Yasumichi Morita (previously) collaborated with Kyoto’s Kamedatomi Corp. to create yuzen kimono fabric patterns. 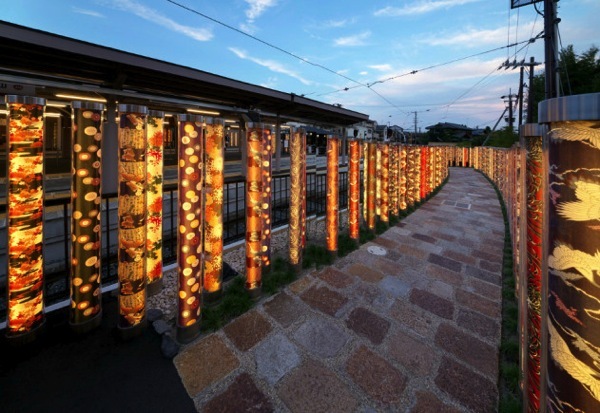 The patterns were then placed inside 600 illuminated poles that were strategically lined along pathways of the station, creating a bright kimono forest.